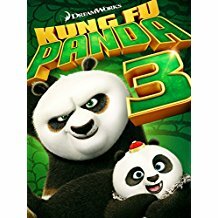 Po, a clumsy, overweight panda, is a kung fu fanatic who lives in the Valley of Peace and works in his goose father Mr. Ping's noodle shop, unable to realize his dream of learning kung fu. 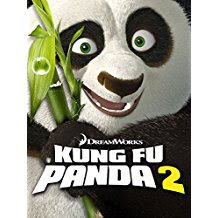 One day, a kung fu tournament is held for the elderly spiritual leader of the valley, Grand Master Oogway, to determine the identity of the Dragon Warrior, the one kung fu master capable of understanding the secret of the Dragon Scroll, which is said to contain the key to limitless power. Everyone in the valley expects the Dragon Warrior to be one of the Furious Five—Tigress, Monkey, Mantis, Viper, and Crane—a quintet of kung fu masters trained by Master Shifu to protect the valley. To everyone's surprise, Oogway chooses Po, who had accidentally stumbled into the tournament arena after arriving late. Refusing to believe that Po can be the Dragon Warrior, Shifu subjects Po to torturous training exercises in order to discourage him into quitting. Determined to change himself into someone he himself can respect, Po perseveres in his training and befriends the Furious Five, who had previously mocked Po for his lack of skill in kung fu. 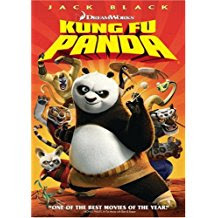 Po soon learns that he must fight Tai Lung, an evil kung fu warrior who has escaped from prison to take revenge for being denied the Dragon Scroll, and despairs he will be unable to defeat him. However, Shifu discovers that Po is capable of martial arts when motivated by food, and successfully trains him to learn kung fu. After his training is complete, Po is given the Dragon Scroll, which he discovers to be blank. However, Po realizes that the key to limitless power lies within himself, allowing him to defeat Tai Lung and restore peace to the valley. Po now lives his dream as a kung fu master and protects the Valley of Peace alongside the Furious Five. However, he is thrown into internal conflict when he begins having flashbacks of his mother and learns from Mr. Ping that he was adopted as an infant. Shortly after, Po and the Five are sent on a mission to stop the evil peacock Lord Shen from using a newly developed weapon, the cannon, to conquer all of China and destroy kung fu tradition. Po remains tormented by thoughts of being abandoned by his real parents until he is guided by a wise old soothsayer to embrace his past, and remembers that his parents risked their lives to save him from Shen, who had set out to exterminate all pandas after learning of a prophecy that he would be defeated by "a warrior of black-and-white". Po achieves inner peace, which allows him to destroy Shen's new weapon, defeat Shen, and accept Mr. Ping as his father. However, during the last scene of the movie it shows Po's biological father realizing his son is alive. Some time after the events of the second film, Shifu relinquishes his duties as master of the Jade Palace to Po, claiming that the next step of his own apprenticeship is to oversee the Furious Five's training. While struggling with this new responsibility, Po rejoices upon reuniting with his biological father, Li. However, news that the spirit warrior and collector Kai had returned to the mortal realm and is stealing the Chi of masters from all over China reach the Valley of Peace and Po and the others discover from a scroll left by Oogway that Kai can only be defeated by the power of Chi, a technique known only by the panda colonies, thus Po and Li set to the secret Panda Valley in order to have Po learn it. Po eventually discovers that Li had deceived him because the pandas had forgotten at all about how to manipulate the Chi and he just wanted to protect his son from Kai, much to Po's disappointment. Once making amends with his father, Po joins forces with the pandas to make a stand against Kai, mastering the power of Chi in the occasion and using its power to destroy him for good. After returning to the Valley of Peace, Po spends his days spreading the teachings of Chi.